A dramatic oratorio by the founder of Neapolitan opera in the early 18th century, in a critically praised period-instrument recording. 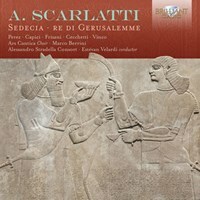 Sedecia shares several characters with Verdi’s breakthrough opera of 1841, Nabucco. The narrative in both cases is drawn from an Old Testament tale of over-reaching military ambition, corrupted power, valorous young generals and a noble queen. 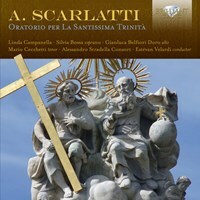 Scarlatti’s oratorio of 1705-6 is no less absorbing in its way for all that Scarlatti respects the conventions of his genre rather than (unlike Verdi) subverting and remaking them anew. With only one other recording ever made, this studio account was warmly welcomed when it was first released in 1999. 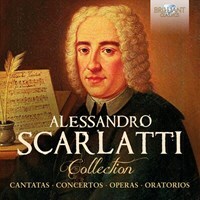 It is reissued here as the fifth in a series of albums dedicated to the major vocal works of Alessandro Scarlatti, masterminded by Estévan Velardi, a scholar-conductor who has done much to advance our understanding of this prolific yet under-appreciated master of dramatic narrative at a time when the genre of opera was still in its infancy.‘Under Velardi, who uses his own edition, part II unfolds with a sense of palpable doom, from the broad opening sinfonia to the empty triumph of Nabucco's soldiers at the final curtain. As Anna, Alessandra Capici projects a womanly, compelling figure, whose broadly detailed grief becomes profoundly moving as she and Sedecia join in mourning the death of their son. 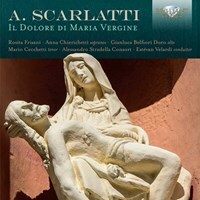 In Ismaele's death scene, unfolded over a slowly moving ground bass, soprano Rosita Frisani displays admirable breath control and a sense of the realism that renders the da capo conventions of the aria strangely appropriate to the moment.’ (Fanfare, September/ October 2002) Alessandro Scarlatti wrote his oratorio “Sedecia, re di Gerusalemme” during a period in which there was a Papal ban on operas (in 1706 an edict was issued to prohibit “under severe penalty all comedies, revelry and all sort of carnival entertainments”). 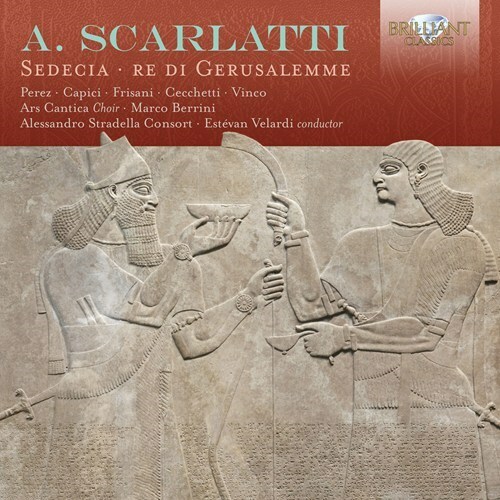 However the sacred texts of the oratorio were just a thin disguise for the drama, vocal brilliance and intrigue of the opera, qualities Alessandro Scarlatti excelled in, as we know from all his oratorios ánd operas.The oratorio deals with the biblical story of Zedekiah (from the Book of Kings) in his wars against the Babylonian kings. 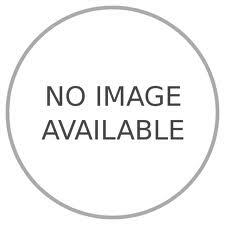 The music expresses all the drama of the heroic acts, ending in triumph or tragedy. 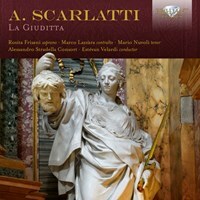 Performed by one of the leading protagonists of the revival of Alessandro Scarlatti: Estévan Velardi, conductor and scholar, and his instrumental ensemble Alessandro Stradella Consort, playing period instruments. Extensive liner notes are included in the booklet, the original sung texts are available on the Brilliant Classics website. Om du tycker om Sedecia, re di Gerusalemme, berätta det gärna för dina vänner! Du kan snabbt och enkelt dela denna sida direkt på Facebook, Twitter och via e-post här nedanför.